Yesterday morning, Samsung unveiled a bevy of products at a Premiere event in London, some of which were brand new, others that were previously announced just unseen publicly. We got to see new tablets, phones and even a new mirrorless-Android-powered camera. I wouldn’t blame you if you were unable to list all of them. I was, however, able to play with a few of the new devices and see if Samsung has delivered any innovATIV products. 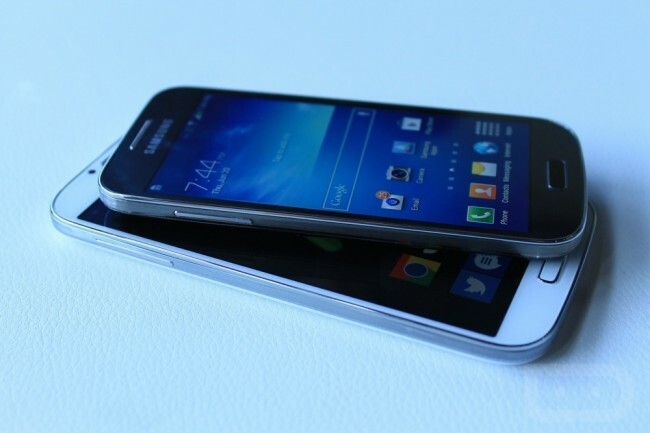 Here are some quick thoughts on the Galaxy NX and the Galaxy S4 Mini. The first product to grab my eye was the Galaxy NX, the world’s first Android-powered camera with interchangeable lenses. Think of it like a mirror-less DLSR, but with a 4.8-inch screen and powered by Android with LTE support. My first question, and probably yours too, was does it have Touchwiz? It does, unfortunately. Those mammoth quick toggles are present in the pulldown and take up half a screen’s worth of real estate. That’s not my only gripe with Touchwiz, but I’ll get to that in a minute. The camera takes some great pictures surprisingly. It doesn’t compare to a top-of-the-line Nikon/Canon, but the pictures are hands-down better than anything you’ll take on a smartphone. I used to think that the Galaxy Camera was the perfect combination of Android functionality and optical zoom action, but this device is the new champion. The screen is HUGE and takes up the entire backside of the device. On a typical camera, you have physical input buttons to change up the settings, such as shutter speed or ISO. 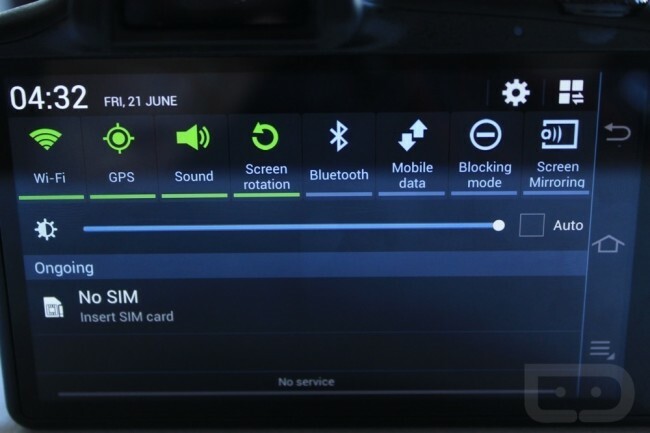 All those settings are placed into Samsung’s camera app, and you use the touchscreen to switch them via some on-screen dials (much like you do on the Galaxy Camera). While outside of the camera app, you can also twist a knob (on the lens) that will allow you to immediately jump to some of the camera features. It’s at this point that Touchwiz rears its ugly head. There is significant lag while switching between the various UI elements. It’s not hard to imagine that they want semi-serious photographers to use this device, but those same individuals don’t have the time to waste on a photo shoot, waiting for the camera to respond to their gestures. The same lag appears when you swipe away from the camera and back to Android home. Outside of the camera app, the device functions as a normal Android device with full access to your normal apps, since the device has the Google Play store. Again, lots of hiccups when scrolling or swiping. We were told that the software is currently not finalized, so maybe we’ll see that lag disappear. As an owner of an S4, I’m not holding my breath for that. As the NX approaches a retail launch, we’ll hopefully have a chance to spend additional time with it, along with retail-ready software. It’s certainly something, when a 4.3-inch phone earns the moniker “Mini.” The Galaxy S4 Mini comes packing with 1.7GHz dual-core processor and a qHD AMOLED display. Despite being smaller than the S4, the device actually felt heavier to me. The build quality looks to be the same as its bigger sibling, with the same metal band and plastic battery cover. 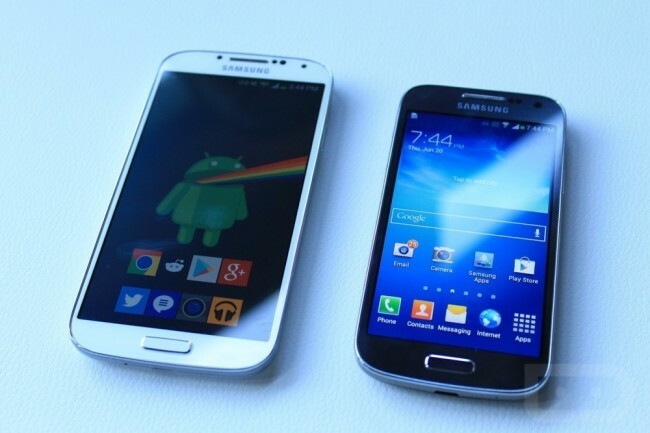 The screen is not as gorgeous as the S4, but that should be expected. Surprisingly, in my limited usage, the phone was quite snappy and did not display the lag that you come to expect with Touchwiz. The phone is running 4.2.2, but I was unable to see anything else because the rep quickly told me I was not allowed to be looking at that section of the phone and pushed the home button on me. If you have smaller hands or a dislike for larger screens, you certainly won’t go wrong with this phone. I have to say that I was really impressed with the Galaxy NX, even with the present lag issues. In my opinion, it’s a great marriage of an interchangeable-lens camera that can take great photos and then use Android to automatically upload them to Flickr or social networks. Don’t forget, you can do all of this while utilizing a 4G network. I’m looking forward to seeing how this product moves forward. You’ve got a winner here, Samsung. Despite all the devices they had available, I had really been hoping to play with the ATIV Q, which is Samsung’s Windows-powered tablet that also runs full-blown Android. The single button instant-switch OS feature just looks amazing. Unfortunately, that device was not available. I’m really excited about the idea of multi-tasking between Windows and Android, let alone having that awesome form-factor. Even though the ATIV Q is technically a Windows product, we’ll do our best to try and get ahold of one for a review. Keep in mind that most of the products we saw today were either not announced for U.S. markets or were not available to be viewed at the event we attended. We’ll most certainly have more as these devices inch closer to retail launchers. In the mean time, be sure to check out our massive gallery of all of the products we were able to get our hands on.